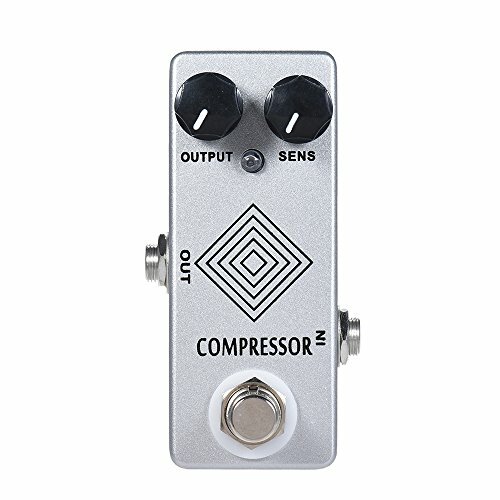 Electric guitar dynamic compressor effect pedal for guitar players. 2 functional knobs(OUTPUT/SENS) for adjust the performance of compression. True bypass footswitch for switching between compressor and bypass status.